From the bathroom to the bedroom, the zipper has become one of the most commonly used inventions on Earth. From the bathroom to the bedroom, the zipper — celebrating the 100th anniversary of one of the earliest working designs — has become one of the most commonly used inventions on Earth. Billions of people rely on the zipper every day, and you’ll find one (or more) on everything from jackets and pants, boots, backpacks, tents and luggage, to purses, pencil cases and a memorable Rolling Stones album cover. But they weren't always so wildly popular. The concept of a zipper got its start when an American, Elias Howe, earned a patent in 1851 for his Automatic Continuous Clothing Closure. His idea was ahead of its time, but Howe was so busy with his other inventions (including the sewing machine, which would later make zippers much easier to install) that he never got around to commercializing the radical new type of sliding fastener. While the materials have changed over the years, the basic concept of the zipper is closest to Gideon Sundback's patents, arguably making him the father of the zipper. It wasn't until decades later, in 1893, that Whitcomb Judson came up with something he called the Clasp Locker, and later the Judson C-Curity Fastener. Unfortunately, his invention had large teeth that could be tricky to close, and it also tended to come open by itself. As a result it wasn’t very popular with the public, even though it was showcased at the 1893 Chicago World’s Fair. The idea might have languished in obscurity and left us all living in a button-down world. But Judson also co-founded the Universal Fastener Co., and that’s where things really started coming together for the zipper. A zipper is, in essence, a type of interlocking geared mechanism. The zipper's teeth are the cogs of the gear. The slider aligns the teeth to close the zipper, allowing each tooth to mesh with the next tooth as they are pushed together. When opening a zipper, the interior of the slider has a diamond-shaped wedge that is forced between the teeth, causing the gear to open. 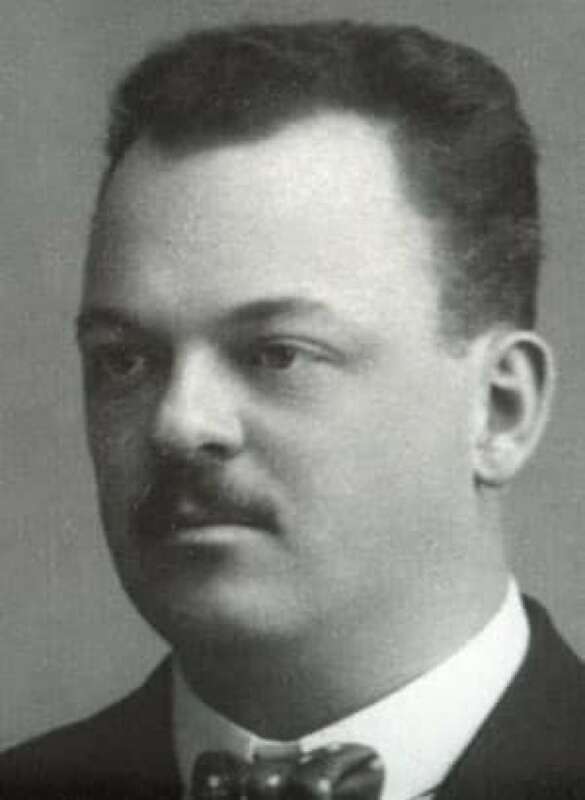 In 1906 the company hired a Swedish electrical engineer named Otto Frederick Gideon Sundback, who had immigrated to the United States. He took Judson's design back to the drawing board and came up with the system of tiny interlocking teeth now known as the zipper. The Lightning Fastener Co. in St. Catharines, of which Sundback was president, started manufacturing the new fastener, but it took another couple of decades to really grab the world's attention. There is a debate about whether the credit for inventing the zipper should ultimately go to Elias Howe, Whitcomb Judson or Gideon Sundback. While the materials have changed over the years, the basic concept of the zipper is closest to Sundback's Hookless Fastener design and it's also the one that had the most commercial success. What can't be argued is that in the years since, this speedier way to manage one’s wardrobe has headed off uncountable restroom-related accidents, saved many a couple from being caught in compromising situations and spared humanity from the scourge of draughty drawers. In honour of the early patent's 100th anniversary, we've pulled together some miscellaneous trivia about the zipper. "Hookless Fastener" doesn't exactly roll off the tongue, but it stuck for a while and the name "zipper" wasn’t coined until a decade after Sundback’s patent was issued. The B.F. Goodrich Company adopted the Hookless Fastener for a line of galoshes in 1923, and an employee trying them out apparently said something along the lines of "Zip ‘er up!" when he heard the distinctive sound of the sliding fastener. The company registered Zipper as a trademark in 1925. B.F. Goodrich tried to protect the trademark as the word became popular. Its control of the name was challenged by Lightning Fastener Co. in the Supreme Court of Canada in 1931, in a case that was dismissed with costs. B.F. Goodrich's trademark rights were ultimately limited specifically to the name "Zipper Boots." The zipper was originally used in footwear and bags for holding tobacco. It was a hard sell in the early days for consumer clothing, with critics labeling the zipper a morally corrupt invention that made it too easy to remove one's pants. That didn't worry the army, apparently. The first big customer was the U.S. military, which used zippers in gear and uniforms issued to World War One troops. The children’s clothing and adult fashion industries didn’t start using zippers in great numbers until the 1930s. The Prince of Wales gave things a nudge when he adopted the zip fly into his wardrobe in 1934. Around the same time, designer Elsa Schiaparelli started designing zippers into her sportswear and avant-garde gowns. Zippers really took off in 1937, when they caught the attention of a number of French fashion designers. In 1954, Levi’s introduced a special zippered version of its overalls called the 501Z, replacing the button-fly. The company eventually brought in zippers across its line of jeans, but not until the 1970s. In the first year or production, Sundback’s company was producing roughly 100 metres of zippers a day, enough for about 700 pairs of pants. A large modern plant can produce zippers for more than seven million pairs of pants a day. The letters YKK stamped on the pull tab of many zippers is the abbreviated name of a Japanese company, Yoshida Kogyo Kabushikikaisha, founded in 1934 by Tadao Yoshida. It translates as "Yoshida Company Ltd."
It now has factories around the world and makes more than 1.5 billion zippers a year. YKK Co. has also branched out into other types of fasteners, as well as architectural building products. YKK's "Cycle of Goodness" philosophy states "No one prospers unless he renders benefit to others." Thanks in large part to the benefits others see in zippers, today the company operates in 71 countries and has about 39,000 employees. The zipper market is dominated by YKK, KCC Zipper, and Tex Corp., as well as a large group of smaller Chinese manufacturers. The majority of the world’s zipper supply is made in China’s Qiaotou region. It’s estimated that factories in Qiaotou produced more than 200 million metres of zippers in 2011. Once the airtight zipper was perfected in the 1950s, it found its way to the depths of the ocean on diving gear, into orbit and eventually to the moon. NASA helped develop airtight zippers for fighter-pilot pressure suits and later adapted them for space suits, including the ones used for the Apollo 11 moon landing (Neil Armstrong's zippers were made by YKK). Esquire magazine raved in 1937 that the zipper would help men avoid "the possibility of unintentional and embarrassing disarray." Unfortunately, it forgot that what goes up, must come down. Movie stars such as Brad Pitt at the premiere of The Case of Benjamin Button in Paris on Jan. 22, 2009; Twilight's Robert Pattinson at red carpet events on Aug. 15 and again Oct. 31, 2012; and Robert Downey Jr. at the South Korean premiere of Iron Man 3 on April 4 this year. U.S. president George Bush on a visit to Chile in May 2004. And British Prime Minister Winston Churchill, who when informed that he should check his zip, apparently replied, "It is of no account; after all, the old bird does not fly far from his nest." Model Kate Moss on a number of occasions in recent years. She told Grazia magazine, "I've got a problem with zips. Sometimes I just forget to do them up!" Canadian singer Justin Bieber at the 2011 Grammy Awards backstage photo shoot, and a few weeks later on stage at a March concert in Liverpool, England. According to Fort Lauderdale’s Sun Sentinel newspaper, a local Sheraton hotel had a zipper more than 1.8 kilometres long built in 1988 as a promotional gimmick. The zipper was draped from a hot air balloon and then taken and wrapped around the hotel to promote its nightclub, called Zippers. 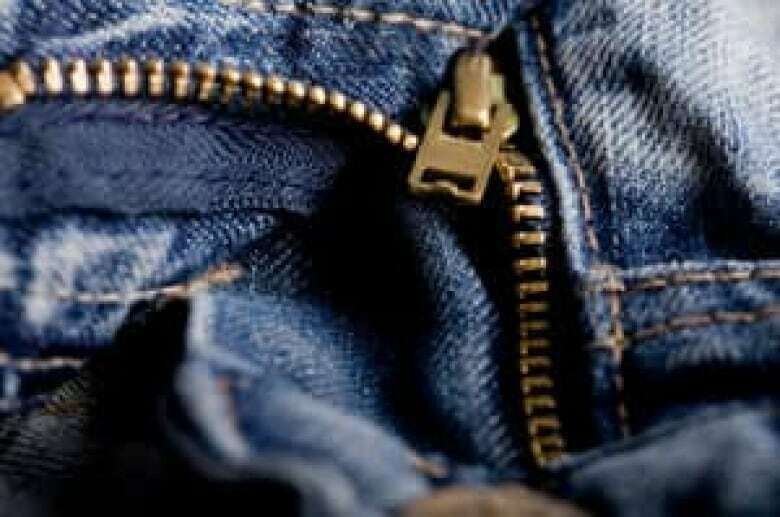 Guinness World Records doesn’t have any current zipper-related entries, but according to Recordsetter.com, radio host Andre Hoeden raised and lowered the zipper on his pants 204 times in 30 seconds. YouTube has videos of people attempting similar feats, with varying degrees of success (search for "zipper world record"). At least 17,616 people in the U.S. suffered zipper-related genital injuries between 2002 and 2010 that were bad enough to land them in hospital, according to the study. So while Gideon Sundback gave the world a useful, time-saving invention, be careful out there as you celebrate a century of zipping.